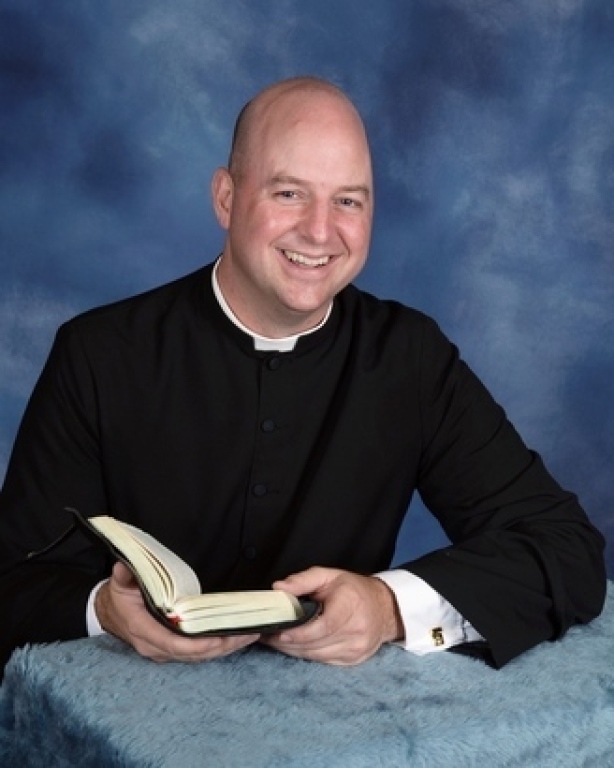 As the current pastor of St. Francis of Assisi Parish and School, I would like to introduce myself to you. Some priests prefer to be called by their last name and some by their first. You can call me by either, but most call me Fr. Jeff. I grew up right across the river in Merrimack, NH and have called it home my whole life. My parents still live in the “family” home that my grandfather built in the 1960’s for them. They like to tell the story that they met at St. Anselm’s College and were lab partners in Chemistry class. Now after fifty one years of marriage, eight children and fifteen grandchildren later, it’s clear that there certainly was some chemistry! Most of my family lives in southern New Hampshire with the exception of a brother and his family who lives in Connecticut, and a brother and his wife in Texas, both of whom are married. Graduating from Merrimack High School in 1994 and not knowing what I wanted to do with the rest of my life, I went to Keene State College for a year and transferred the following year to the Franciscan University of Steubenville located in Ohio. From there I graduated with a B.A. in business, but more importantly while there I began to discover God’s calling in my life to become a priest. The following year 1999, I applied and was accepted to study for the priesthood for the Diocese of Manchester and I began this six year preparation at St. John’s Seminary in Boston, MA. In June of 2005, joined by my family, many friends and now brother priests in our diocese I was ordained by Bishop John McCormack, the ninth Bishop of Manchester. My past assignments were: as parochial vicar for two years in Keene, NH (my old stomping ground), then for two years in Berlin and Gorham, NH and then as pastor of St. Joseph Church in Woodsville, NH and St. Catherine Church in Lisbon, NH. Beginning my current assignment here in Litchfield in July, 2014 and living at Our Lady of Mercy rectory in Merrimack (the parish in which I grew up) I feel that I have in a way “come full circle.” As I reflect on the many people whom God has placed in my life bringing love, support and encouragement, how God has sustained my own priestly life and also the many people God has transformed, sustained and given new life through my priestly ministry, I am tremendously grateful. Having the opportunity to recount my journey that has brought me here I can’t but help think of St. Pope John Paul II’s reflection on the priesthood, a book entitled “Gift and Mystery”. Like any vocation, the priesthood is not without it’s sacrifices and personal struggles, but this title really encapsulates both the amazement and joy of life God has in store for every man who discovers and follows His calling to the priesthood. I am happy to serve the people of this parish and school.